Can Fancy Color Diamonds’ Prices Rise Any Higher? In the last 20 years, the prices of fancy color diamonds have risen exponentially. When it comes to investments, investors and financial advisors are always seeking the most stable and lucrative assets that will yield the highest ROI. Despite the fact that the numbers speak loud and clear, it is still difficult to believe the price increase that certain colors of fancy color diamonds have increased in recent decades. The truth remains that as fancy color diamonds have been recognized as a rare product in severely limited supply, they have also risen in prices in leaps and bounds in certain fancy color diamonds colors, drawing savvy investors to them. The highest value and quickest increasing price value of all the fancy color diamond colors are red diamonds, blue diamonds, and pink diamonds. These are also the rarest colors that can be found in nature, and the less rare colors are significantly less expensive and are also usually not considered investment grade. All three of these colors make headlines every year as diamonds of these colors in various sizes set world records in their prices, whether it is in the price per carat for which they ultimately sell, or for their total price. When high net worth individuals have the means, and when they are interested in diversifying their investment portfolios, they come to embrace the incredible fancy color diamonds that are sold both privately and at the famous auction houses as excellent passion investments. 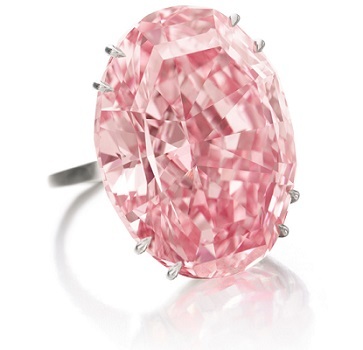 One of the most noteworthy annual events is the Rio Tinto Argyle Pink Diamond tender. This event is exclusive and also very indicative of the direction of the market. The tender showcases red and pink diamonds, and occasionally purple and blue diamonds as well. These diamonds are considered the cream of all the diamonds that were mined at the Argyle Mine in Kimberley, Western Australia that year (the mine also produces other colors of fancy color diamonds (the majority being brown) but those are not included in the tender). Although Rio Tinto does not usually release the prices at which the tender diamonds sell, it is sometimes announced the increase of value in percentage over last year, or over an extended period. That is one of the ways that it is possible to track the year over year increases in prices that buyers are willing to pay for Argyle diamonds at the tenders. 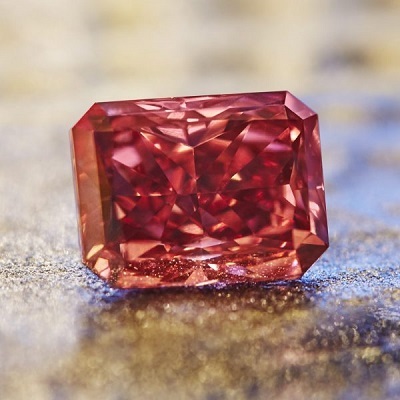 Rio Tinto announced that this year’s tender earned the highest prices ever paid for their diamonds, and their star of the tender, the 2.11 carat Fancy Red diamond, was the most expensive diamond ever sold in the tender’s 33 year history, according to Rio Tinto. The red diamond, also known as the Argyle Everglow, is also the largest red diamond that the mine has ever produced. The Argyle Everglow was purchased by Optimum Diamonds LLC, a New York-based diamantaire, who also acquired the Argyle Liberte, a 0.91 carat violet diamond, at the tender as well. So, if prices are already so high, can their prices rise even further? As any financial advisor or investment professional can tell you, the most basic rule of economics is that when supply decreases and demand increases, prices will increase in tandem. 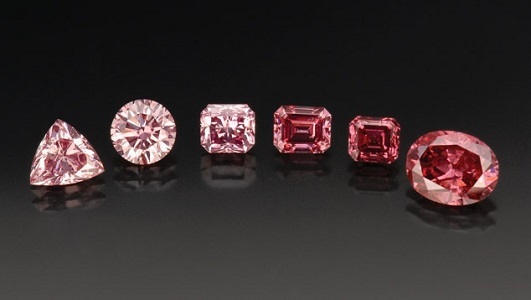 Technically speaking, there is no end in sight to the demand for pink, blue and red diamonds (especially Argyle diamonds), and there has been no new diamond mines discovered for a long time. Therefore, in the long term it is pretty clear that many types of fancy color diamonds will remain in great demand, and their prices will only continue to increase. Got any questions about fancy color diamond prices or their trajectory? Ask us in the comments!